""" keywords'/> "" " How Lousy Not Become An Actor Yet? 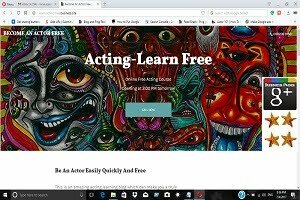 Read Practice 3+7 Steps | Best Actor Academy-The Monster Of Free Acting Tips ""
A struggling actor on Mumbai beach. Waiting sulking? Not becoming an actor. What's the solution? Why am I failing in everything I do to become an actor? Lost all hopes to become an actor. What to do? 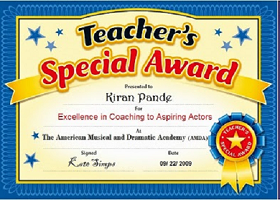 I did everything-best acting school, registered with top 5 artist coordinators, given auditions. It's 5 years but still no break. Can you help? It gives you much more time and energy in the day. Try it, even if you think you’re a night owl. Whether it’s not taking a bath, not eating for one day, talking with a stranger, or moving to a new uncomfortable place for a few weeks or a few months, do something that makes you step outside your comfort zone. It’s the single most important thing if you want to constantly grow. 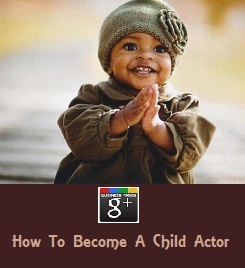 Sure, there may be many setbacks along the way to achieving an actor's ultimate goal of being a star actor and happy. However, each failure is but a lesson to be learned, and reignites his passion and drive to push forward in pursuit of his final goal. As soon as you make the commitment to becoming successful and a great actor--no matter what, your entire point of view on life will shift to one of self-centered, selfish taking advantage of every opportunity to result oriented and leave no stone unturned that comes your way. A failure of any magnitude is nothing but a speed bump along your journey to the top. When I became an actor. nobody really cared, I relooked myself up, reinvented, and kept going...because there is no other option. Failure doesn't mean you have failed. Only you haven't succeeded yet. so go on struggling till you get what you aimed at. An actor without passion, you're destined for failure amidst all the challenges you'll experience on the road to success. Your work needs to be something you love in order to outperform your millions of competitors in the long run. In fact, you are responsible to yourself not to indulge in any activity that leaves you feeling anything less than most joyful regularly. Don't expect to be completely in love with every aspect of your acting. If you follow your imagination, observation, curiosity, engage in your interests, and seek answers to the questions that matter most to you, there's nothing that can stop you from being the best in your field. You get powerful lessons through finding the answers of the above leading to testing new ideas. 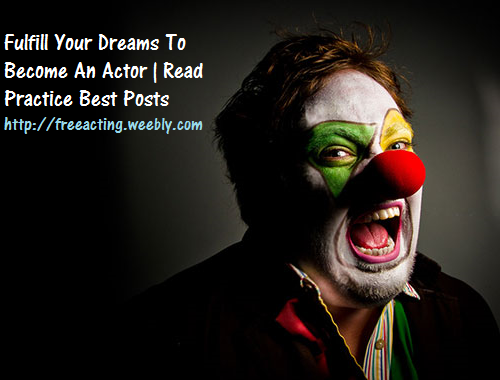 As an actor, it will make you a creative performer. What are your hobbies outside of acting work? Chances are your enjoyment of writing, making music, fencing, cooking, playing some game, teaching, or helping others that benefit other people. 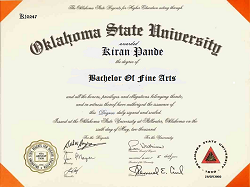 This will lay a foundation in you a versatile person fueled by passion. Seek answers. Start looking for tips and researching on valuable resources on cine industry, success requirements, struggle periods, improving self, finances, world, politics, nations history and so on. In this chaotic and competitive world environment, knowledge is power. Is there a greater purpose to what you do besides simply chasing fame, money or the most beautiful woman in the world? Discovering true meaning in your work is what makes it so much more than just a weekly slogging. If your work is meaningful, not only will you be more likely to stick with it, in the long run, you'll have more clarity, drive, and happiness in all aspects of your life. Every professional athlete, entertainer, Bollywood and Hollywood star interviewed has put literally thousands of hours of practice into becoming the best in their fields. On their rise to the top, they forego partying and other unproductive blowouts instead took advantage of every opportunity they can to perfect their skills and build meaningful relationships for their careers. It's not just about the sheer quantity of how much you practice, though. Scientists have never been able to agree upon a "magic number" for a number of hours it takes to become a true expert on any topic. You must be thoughtful, continue practicing till you die and seek learning opportunities in everything you do. Only then will you achieve true greatness. "Is what I'm doing right now the absolute most effective and the use of my time?" All of the world's most successful people know the value in only spending their time doing things that get them measurably closer to accomplishing their goals. They ask themselves this question religiously when starting on new assignment (audition, film, interview, delivering monolog. playing the new character). This prioritization extends far beyond just how they allocate their what do first, time and go deep into uncovering how to do. Whenever possible, they don't waste their precious time on tasks that aren't within their core abilities and competencies. They find solutions to complement their abilities so they can focus on delivering the most value they can. It's common in actors to get tense. A fear, uncertainty, self-image, anxiety and poor confidence. It's simply not possible to give 110 percent all of the time and stay motivated, engaged, and passionate about achieving your goals. 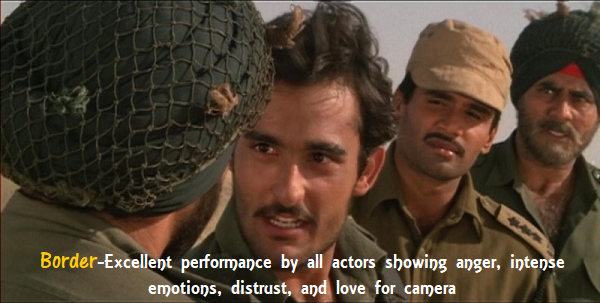 A healthy and "motivated peaceful"
a physical and mental trait is absolutely essential for an actor's success. Learn how to relax and that too (for auditions and before a shot), instantly. There is a combination exercise of yoga, self-hypnotism, and autosuggestion techniques. 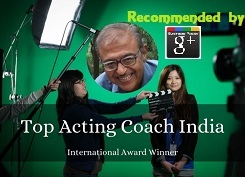 Either you may join an institute or if an acting coach is an expert in these techniques. Taking time off from work is equally important on the weekends and evenings, to adequately prepare yourself for a better week ahead. Go to a beach, climb hills, watch movies of intense dramas, conflict, comedy; the best is to watch comedy classics of old times of Charlie Chaplin and Laural and Hardy. Why? Because they are silent movies, so all can you watch is acting and performance.